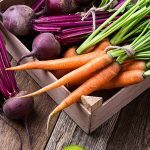 Cleansing diets, herbs, and fasting programs may seem like a modern health trend, but societies have used natural cleansing methods to detoxify the body for hundreds of years. Many religions encourage people to fast as a means of cleansing both the body and the mind for spiritual practices. Toxins in food, air, water, and the environment, make cleansing the colon, liver and other organs more important now than ever. The burden of over-pollution may be responsible for deleterious effects on the immune system, a scenario which makes us highly susceptible to chronic degenerative diseases. Below, we’ll describe several of the current methods and foods that naturally help the body achieve a detoxified state. Keep in mind that accelerating the removal of toxins from your body won’t help if you continue to put toxins into your body. In other words, avoid refined foods, sugars, MSG, yeast, dairy products, caffeine, chocolate, soy, peanuts, alcohol, and non-whole-grain starches while performing any cleanse or fast. Regimes for cleansing the liver incorporate bitter greens and chlorophyll juices such as wheat grass and dandelion greens. [1, 2] Other liver-happy foods include carrots, celery, limes, lemons, and beets. Spices that offer cleansing effects on the liver include turmeric, rosemary, cayenne, cumin, and curry. It’s best to avoid coffee, milk, and sodas; instead, opt for purified water and/or apple juice. To help support your cleansing efforts, add Livatrex® to a gallon of apple juice or water and follow these liver cleansing instructions. One of the best natural detox methods is a six or seven day cleanse using distilled water, organic, raw apple cider vinegar, aloe vera, Oxy-Powder, and a probiotic supplement. This cleanse is a quick and effective way to purify your digestive tract. Here are my recommended instructions for performing a colon cleanse. 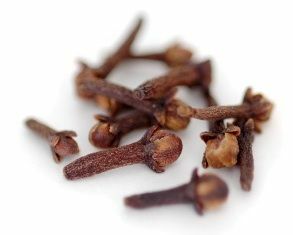 A candida cleanse is designed to remove candida within the body by removing all foods containing sugars. The candida diet requires avoiding all forms of sugar (including fruit and fruit juice), all refined flour and wheat products, any foods containing yeast, as well as all natural sweeteners such as agave nectar or raw honey. During a candida cleanse you should also avoid alcohol, dried fruit, mushrooms, cheese, pickled vegetables, and soy sauce. Taking organic oregano oil and a probiotic like Latero-Flora™ can enhance your candida cleansing efforts. There are many herbs you can take to take care of harmful organisms that may be affecting your health. Wormwood, black walnut hull, clove, and American wormseed are four herbs that create an environment within your intestinal tract that’s hostile to invading organisms. Taking a probiotic supplement will also support balance and discourage any unwelcome visitors. The following is a link to my recommended cleansing instructions for harmful organisms. A liquid cleanse is an excellent way to cleanse the body while still maintaining energy levels. 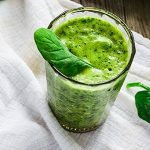 It involves the consumption of fresh organic fruit and vegetable juices, pureed soup, miso soup, smoothies, flax, hemp, coconut, sesame or pumpkin seed oil, and purified water. Some people have high levels of toxic metals such as mercury, aluminum, cadmium, and lead in their body. In general, it's best to perform two cleanses per year to avoid long-term accumulation. 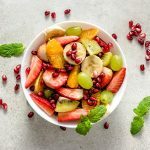 This is a temporary cleanse that advocates eating uncooked fruits and vegetables combined with smaller amounts of raw nuts, seeds, and sprouts. It’s an excellent way to detoxify the colon, liver, and other systems in the body. It alleviates the body’s need to alkalize the acidic nature of blood that results from a modern, non-alkaline diet. Learn more about the benefits of a raw food diet. Juice fasts consist of consuming only freshly juiced fruits and vegetables for one to three days, or longer. The best cleansing fruits and veggies include apples, carrots, beets, ginger root, spinach, pears, celery, kale, cabbage, pineapple, cranberry, and other dark leafy greens. Citrus fruits are usually avoided while fasting. Organic fruits and vegetables are best. A kitcheree cleanse is an ancient Ayurvedic method of cleansing the body through what is known as a “mono-diet.” In a kitcheree cleanse, you can eat a super-alkaline diet of mung beans, cooked vegetables, basmati rice, and spices. This diet offers a temporary relief to the digestive system, and contributes to overall detoxification, especially when combined with cleansing herbs. Coupling a healthy, organic diet with cleansing spices is an effective way to detox the body. The best cleansing spices include cinnamon, oregano, turmeric, cumin, cilantro, fenugreek, ginger, fennel, cayenne pepper, black pepper, clove, parsley, and rosemary. This detox method consists of a diet composed only of freshly-squeezed lemon juice, organic grade-B maple syrup, cayenne pepper and spring water. While this can be an effective method for both liver and colon cleansing, I still recommend performing an oxygen colon cleanse, and a liver and gallbladder cleanse at the same time. 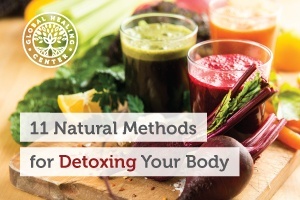 Which of these natural detox methods have you tried? What were your experiences? Please leave a comment below and share your feedback! Drewnowski A, Gomez-carneros C. "Bitter taste, phytonutrients, and the consumer: a review." Am J Clin Nutr. (2000): 1424-1435. Tokusumi Y, Takagi Y. "Ectosymbiotic role of food bacteria for paramecium: bacterial detoxification of paramecia-killing toxin contained in wheat grass powder." Zool Sci. (2000): 341-348. Koumbi L. "Dietary factors can protect against liver cancer development." World J Hepatol. (2017):119-125. Singh, U. P., D. P. Singh, S. Maurya, Ruchi Maheshwari, Mandavi Singh, R. S. Dubey, and R. B. Singh. "Investigation on the Phenolics of Some Spices Having Pharmacotherapeutic Properties." Journal of Herbal Pharmacotherapy 4.4 (2004): 27-42. Wijarnpreecha K, Thongprayoon C, Edmonds PJ, Cheungpasitporn W. "Associations of sugar- and artificially sweetened soda with nonalcoholic fatty liver disease: a systematic review and meta-analysis." QJM. (2016): 461-466. Nikawa, H., Nishimura, H., Hamada, T. et al. "Effects of dietary sugars and saliva and serum on Candida biofilm formation on acrylic surfaces." Mycopathologia (1997) 139: 87. Bor T, Gyawali R, Ibrahim SA. "Evaluating the Effectiveness of Essential Oils and Combination of Copper and Lactic Acid on the Growth of E. coli O157:H7 in Laboratory Medium." Foods. (2016): 5(1). Surendran nair M, Amalaradjou MA, Venkitanarayanan K. "Antivirulence Properties of Probiotics in Combating Microbial Pathogenesis." Adv Appl Microbiol. (2017): 1-29. Huber R, Nauck M, Lüdtke R, Scharnagl H. "Effects of One Week Juice Fasting on Lipid Metabolism: A Cohort Study in Healthy Subjects." Complement Med Res (2003): 7-10. Li, Qingzhao et al. "The Preferential Accumulation of Heavy Metals in Different Tissues Following Frequent Respiratory Exposure to PM2.5 in Rats." Scientific Reports 5 (2015): 16936. PMC. Web. 28 Feb. 2017. Guillon F, Champ MM. "Carbohydrate fractions of legumes: uses in human nutrition and potential for health." Br J Nutr. (2002): 293-306. Singh UP, Singh DP, Maurya S, et al. "Investigation on the phenolics of some spices having pharmacotherapeuthic properties." J Herb Pharmacother. (2004): 27-42. Kim, Mi Joung et al. 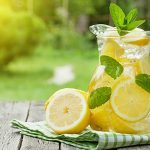 "Lemon detox diet reduced body fat, insulin resistance, and serum hs-CRP level without hematological changes in overweight Korean women." Nutrition Research, Volume 35 , Issue 5. (2015): 409 - 420.